It starts off with almost slapstick heist gone wrong, followed almost immediately by a funeral. A natural progression from The X-Files! 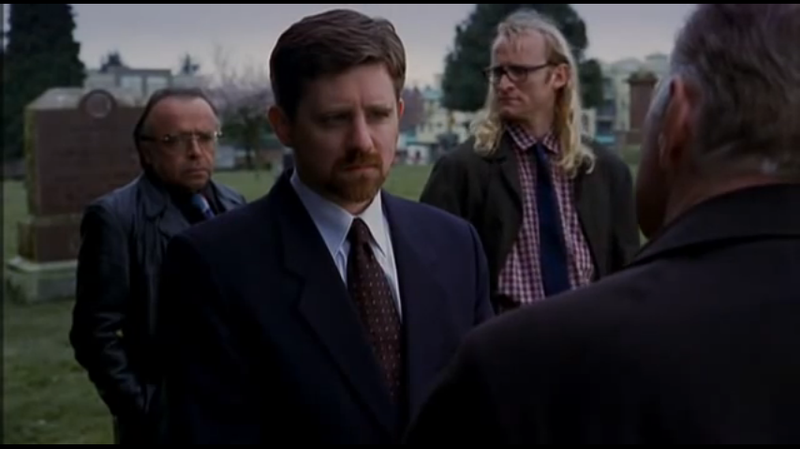 The X-Files occasionally featured a trio of conspiracy theorists who referred to themselves collectively (and somewhat paradoxically) as “the Lone Gunmen.” I’ve touched on them before, as they featured heavily in that one really weird crossover with Homicide: Life on the Street, but they were fairly popular characters in their own right. You aren’t as reviled and ostracized for your crazy conspiracy theories when most of them are true, after all. So when The X-Files had a chance to create a spinoff, these three were chosen to lead it. The Lone Gunmen TV series had a much lighter tone to it than its parent show, almost by necessity, but that didn’t mean the subject matter was any less serious. The Lone Gunmen is mostly remembered these days for having its first episode focus on a government conspiracy to crash airliners into the Twin Towers as a false flag terrorist attack which could be used to launch a profiteering war in the Middle East. That episode aired on March 4, 2001, meaning it predated the eerily similar events of 9/11 by a good six months. You’ve probably seen that anecdote pop up on Reddit’s TodayILearned a dozen times, and that’s about all you hear about this show any more. It was cancelled well before then, and the characters ended up migrating back to The X-Files for a sort-of finale episode, “Jump the Shark,” in 2002. What do you get when you try to make a Stargate show for kids? A mess. An utterly incomprehensible mess. I actually kind of remember when this originally aired during Saturday morning cartoons and I was highly unimpressed by it even then. It shared no writers or involvement of anyone else in the Stargate franchise and can conveniently be written off the canon entirely. Stargate Infinity is set about 30 years after SG-1, with very little connection to its parent show. None of the established aliens appear, and the gates only have 8 chevrons instead of 9, which makes it absolutely incompatible with canon. It follows Gus Bonner, a disgraced member of the SGC who was blamed for opening the gate and allowing aliens to come through to Earth. He ran away with some newbies who, for some reason, followed him, and now they’re all framed up and have to clear their names. They never did that, and since the show didn’t have any connections with the parent program beyond its premise, Infinity wasn’t given the chance that The Lone Gunmen was to wrap up its plots. Zeta and his companion Ro. Note how not-generic his design is. Perfect for creating a memorable character. The DC Animated Universe of the 90’s and early 2000’s is extremely popular even today, and many of the shows set in it stand up on their own, including the Batman and Justice League series. One of the more original series to come out of it was Batman Beyond, a spinoff which took the studio’s awful demands of a show about “Batman in High School” and actually made it compelling by casting Bruce Wayne as the old mentor, with new hotshot Terry McGinnis taking on the Batman mantle in a futuristic cyberpunk dystopia. Batman Beyond was insanely popular, and even in DC’s New 52, one of those 52 universes is set aside for Batman Beyond. Less popular was the spinoff that Beyond itself launched, The Zeta Project. Zeta Project followed a robot named Zeta (naturally), who was created as an NSA assassin until he realized he was working for the bad guys and quit. (Yes, that’s right, even robots are more ethical than your average NSA agent.) 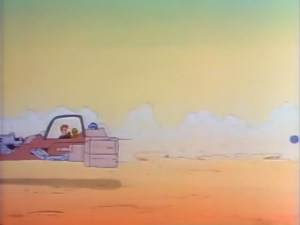 Terry initially chases him down, but helps him escape when he realizes Zeta is good. In the show, he’s on the run from the NSA with a teenage tagalong, walking the earth and righting wrongs. You know, standard stuff. The show ended on something of a cliffhanger, and Beyond actually ended first. 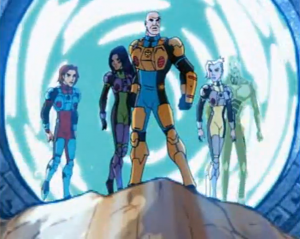 While Beyond was revisited several times, in stand-alone movies and via Justice League, Zeta’s fate wasn’t deemed important enough to revisit. Droids features pseudo-pod-racing 14 years before Episode 1, just in case you wanted more of that but poorly planned and animated. The Star Wars Holiday Special wasn’t the only embarrassingly bad thing to come out of that series during the original trilogy era. These two animated spinoffs followed on the heels of Return of the Jedi in the 1980’s, premiering alongside each other and pretty much running concurrently for their short runs. Droids lasted only 13 episodes and focused on R2-D2 and C-3PO’s adventures prior to A New Hope. They went up against various threats both familiar and new, like Boba Fett. 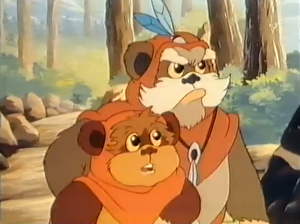 Ewoks managed a second season for a total of 35 episodes, and dealt with those fuzzy kid-friendly critters from Return of the Jedi and what they get up to when their planet isn’t about to burn to death. Thankfully, the Ewoks speak English, with someone having apparently learned from the Holiday Special that entire segments of unsubtitled alien languages don’t make for good television. It’s set before the movies as well, with the last episodes leading up to the construction of the Second Death Star as seen in RotJ. Interestingly, Ewoks was written in part by Paul Dini, most famous for his contributions to the DCAU above. Funny how these things link up. That’s it for this week. 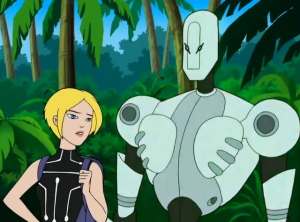 Any lesser known spinoffs that are so unknown I didn’t include them on the list? Would you like me to focus on any of these for an Obscure Sci-Fi Primer? Let me know in the comments, or on Twitter @RetroPhaseShift. Really, I’d love to chat on Twitter!